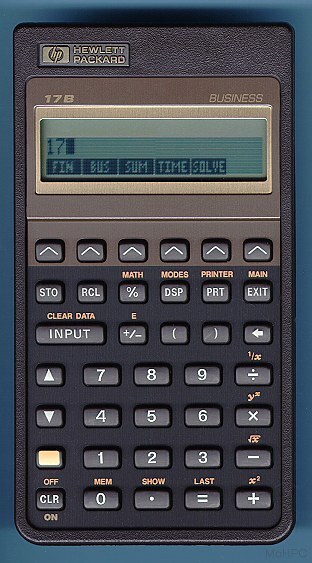 The calculator used a form of algebraic logic with parentheses (but no precedence) in which pending operations were left in the display. For example if the user pressed "1+(2*3", the calculator would show that expression in display. On pressing ")", the calculator would evaluate the part in the parentheses and display 1+6. Like the majority of algebraic calculators, however, most unary functions were postfix (RPN) so you still typed 5 LOG not LOG(5). Even though it was algebraic, it also had a four level stack with roll up and roll down commands. 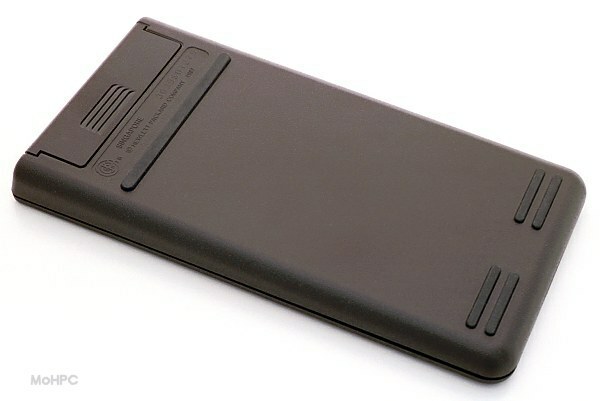 This was called the "history stack" and the equivalent of X on an RPN model was called the "calculator line". The number on the level above could be retrieved into the current expression on the calculator line with the LAST key.